Dore Stein presents Tangents Concert Series: Sokratis Sinopoulos Quartet. Greek musician Sokratis Sinopoulos is a contemporary master of the lyra, a bowed instrument that dates back to the Byzantine era. His playing is delicate and nuanced yet highly expressive, and his proficiency on the instrument has been widely acclaimed. Sinopoulos has collaborated with numerous musicians throughout the world. He’s equally comfortable crossing genre boundaries into jazz and classical, as he is to staying true to folk traditions of Greece and Eastern Mediterranean. 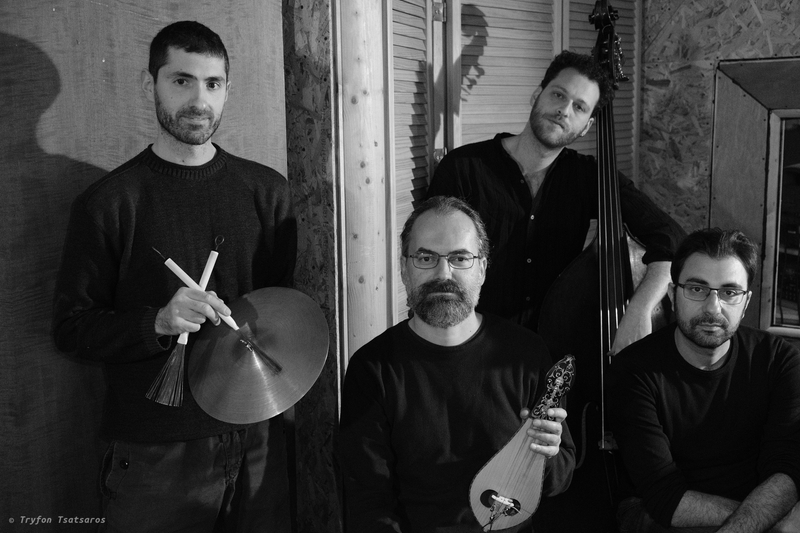 In 2010, he formed Sokratis Sinopoulos Quartet with pianist Yann Keerim, bassist Dimitris Tsekouras, and drummer Dimitris Emmanouil. The debut album of the quartet “Eight Winds”, was produced by Manfred Eicher for ECM records and received excellent reviews globaly. Sokratis Sinopoulos is an assistant professor in the Department of Music Science and Art in the University of Macedonia, Thessaloniki, Greece. Η κοσμοπολίτικη λύρα του Σωκράτη Σινόπουλου και το τζαζ κουαρτέτο του μας παρασύρουν σε ξεχωριστά μουσικά σταυροδρόμια.